Sibir Airlines, operating under its brand name S7 Airlines (IATA code: S7), is Russia’s largest privately-owned air carrier and ranks third in terms of passenger numbers in 2015, behind Aeroflot and the now-defunct Transaero Airlines. After the demise of Transaero, S7 is now number two as of the third quarter 2016. S7 dates back to 1957, when the first flight was performed by what was then Tolmachevo United Air Unit. Re-founded in 1992 as Sibir Airlines, the airline was privatised in 1994 and re-branded as S7 Airlines in 2005. S7’s combined passenger numbers – both domestically and internationally – have nearly doubled since the rebranding, increasing from 4.2 million in 2005 to 8.2 million in 2015. Together with sister carrier Globus Airlines it forms the S7 Group, co-owned by Vladislav Filev and his spouse Natalya Fileva, the government having sold its 25.5 per cent interest in the carrier to S7 Group in 2013. 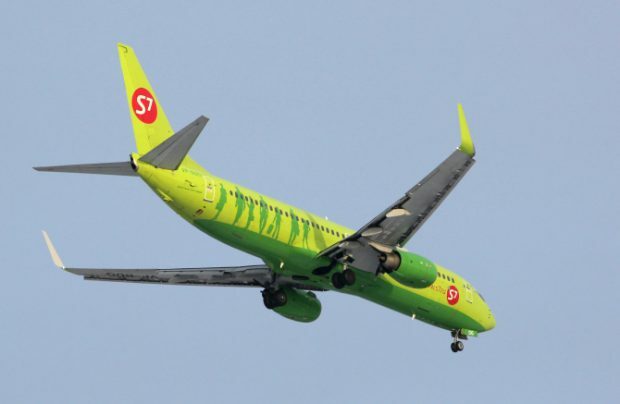 After joining the Oneworld global airline alliance as Russia’s largest domestic carrier in 2010, S7 Airlines has since then given up that position to Aeroflot. But operating out of its two hub airports – Moscow’s Domodedovo (DME) and Novosibirsk’s Tolmachevo (OVB) – S7 has built an extensive route network and now operates flights to 139 destinations in 26 countries throughout Europe, the Middle East, Asia and the Commonwealth of Independent States as per the 2016-17 winter schedule. S7 also has commercial interline agreements with a number of airlines outside Oneworld. Since 2001 S7 Airlines has been a fully-fledged member of the International Air Transport Association (IATA) and, since 2007 after a successful operational safety audit, the airline has been included in the IOSA (IATA Operational Safety Audit) register of operators. The airline operates a Frequent Flyer Programme called S7 Priority. The largest private aviation holding company in Russia, the S7 Group comprises air transportation and maintenance businesses. The holding company’s revenue exceeded US$1.3 billion in 2015. S7 Group’s shareholders also own Engineering Aviation Maintenance Holding, which is the largest MRO enterprise in Russia and the CIS. S7 Group has also been a major driving force behind establishing Larnaka, Cyprus-based Charlie Airlines which, in July 2016, acquired the licence to use defunct Cyprus Airways’ brand name, logo, and trademark over the next 10 years for flights from and to Cyprus. Cyprus Airways is expected to receive its certificate and start ticket sales before 2016 year end. S7 Group has also entered the aerospace industry by signing an agreement to acquire the assets of the Sea Launch complex in September 2016, with an intention to perform space launch services and develop space-based transportation infrastructure.